You can barely flick through the Saturday morning paper without hearing about property prices skyrocketing and the cost of living following close behind. It’s comforting to know that even in Melbourne, one of the world’s most expensive cities, there are still plenty of ways to spend your weekend without breaking the bank. Besides, they say the best things in life are free right? Try some of these out and you might agree. With a diverse and incredible array of wildlife on display, including a children’s garden, this place is well equipped for couples, solo travellers or families. The kids will love crawling through plant tunnels, weaving through a bamboo forest and playing on the plentiful green grass, and the picturesque grounds are the perfect spot for a picnic. The Royal Botanic Gardens, Melbourne. Melbourne is known for its colourful alleyways and world-class street art, and there is an impressive range of graffiti hotspots in its CBD and inner-city suburbs.While there are paid tours offered, it’s not hard to do your research at a cafe with free Wi-Fi and take yourself on a self-guided tour of Melbourne’s many street art locals. Hosier Lane, close to Flinders Street, is perhaps the most famous street art site in Melbourne and attracts swarms of tourists armed with SLRs every day. One of Melbourne’s most popular spots, just a stone’s throw from Flinders Street Station, Federation Square is a favourite meeting spot of locals and also a great place to people-watch. 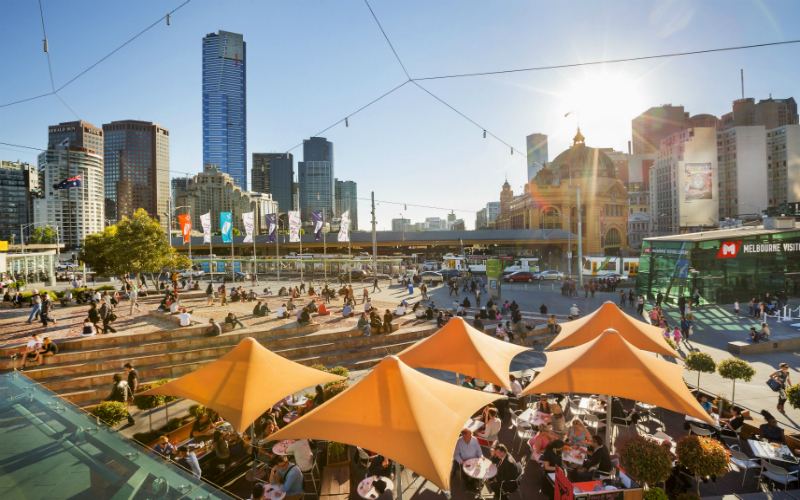 Whether you’re watching street performers, gazing at the big screens, or using the free Wi-Fi to plan your next move, there’s no better public square to sit back and take in Melbourne’s lively and vibrant atmosphere. If you want to see the city but you want to save your energy (and your spare change) these trams are easy to spot, in burgundy and gold, and take about 30 mins to circle the city. Operating between Flinders Street and stopping at Harbour Esplanade, La Trobe Street, Spring Street before returning back at Flinders Street, this tram service passes many tourist attractions and links with other tram, train and bus services, running every 12 minutes between 10am and 6pm. 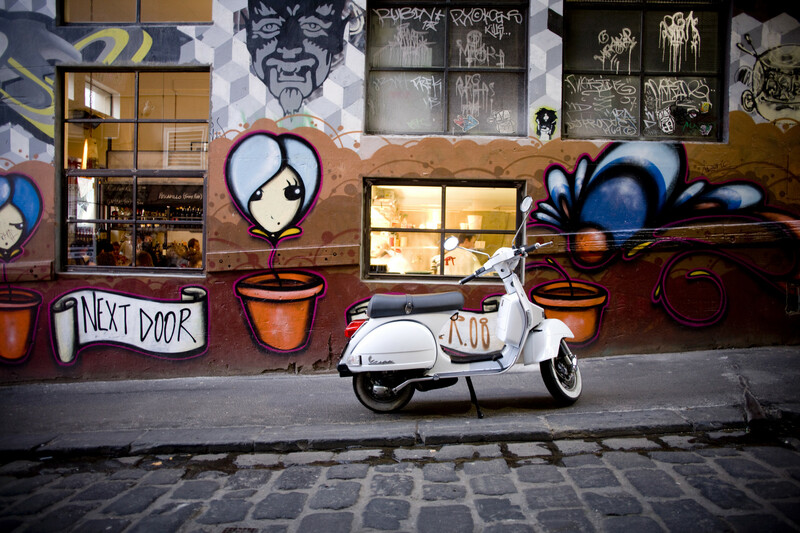 Hop aboard and see more of Melbourne that you would by foot. Located in Federation Square, the Australian Centre for the Moving Image is one of Melbourne’s best museums and even better is the fact that many of its exhibits are free. With features on digital art, computer games, TV, new media and art, there’s something here for everyone. 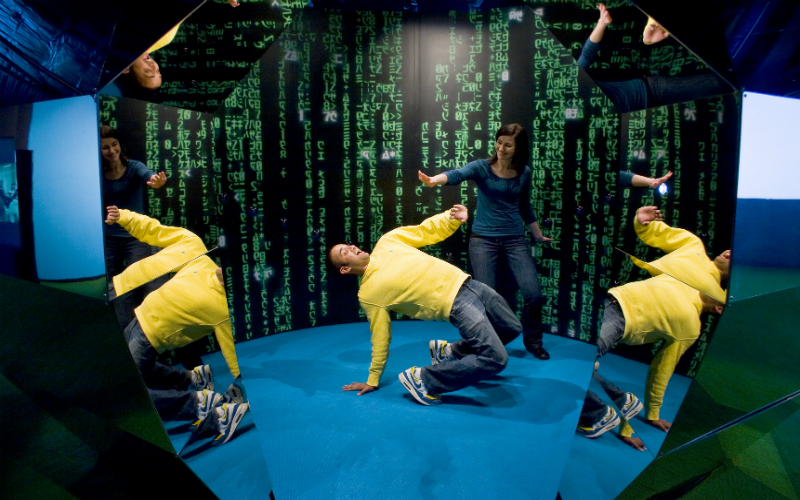 The museum’s free permanent exhibition, Screen World, traces Australia’s history of the moving image through a series of innovative exhibits and interactive displays – and unlike most free museum exhibits, it’s well worth a visit. The Australian Centre for the Moving Image, Melbourne. Dating back to 1878, these markets are a staple of Melbourne cultural life and even if you don’t buy anything from the wide variety of stalls, browsing is half of the fun. This vibrant inner-city market hosts so many fresh fruit and vegetable stalls, local and imported gourmet goods, boutiques, clothing and souvenirs on Tuesdays, Thursdays, Fridays, Saturdays and Sundays. Whether you’re looking for a gift, some vintage gear or fresh ingredients for dinner, you’re sure to find it here. A lot more than just a whole bunch of shelves and dusty books, the State Library of Victoria is one of Melbourne’s best free attractions. The building itself is an incredible stature of heritage architecture and is brimming with things to do – from chess, to game consoles, workshops, film screenings, and even art galleries. Don’t let any bad memories of studying or being SSHH-ed by an angry librarian dissuade you from paying this stunning building a visit. 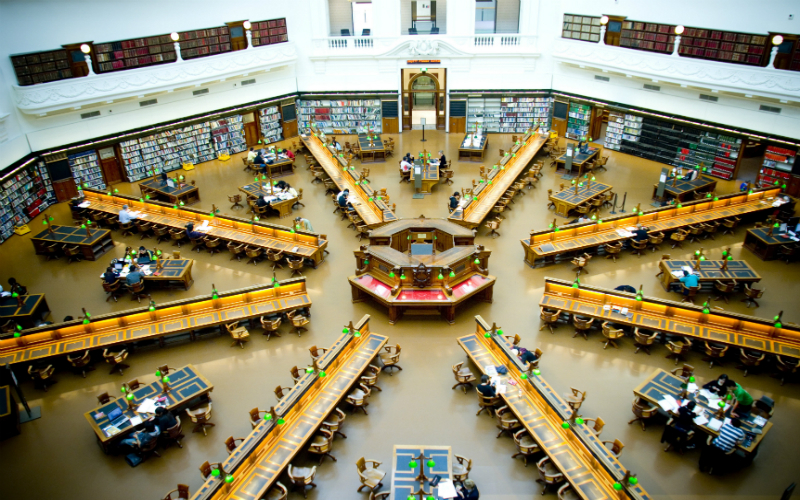 The State Library of Victoria. Including The NGV International and the Ian Potter Centre, the National Gallery of Victoria displays its Australian collection of artworks nearby Federation Square. Although there are many temporary displays and featured exhibits, the gallery’s permanent free exhibition is enough art browsing to last an afternoon and won’t leave a dent in your wallet. The gallery also provides free volunteer guides, making this a free exhibition which you can get a whole lot out of. No matter what month of the year it is, there’s sure to be a festival or major event coming up somewhere in Melbourne. Whether it’s Australia Day or Chinese New Year festivities, St. Kilda Festival held in February, the Melbourne Festival in October, or the Melbourne International Jazz Festival in June, Melbournites love to celebrate with food, booze and street performances, so get amongst it if you’re in town when one of these major festivals rolls in. 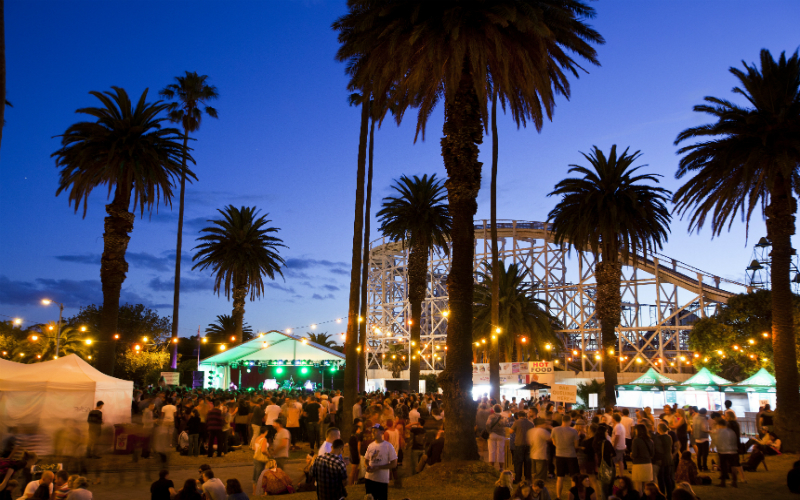 The St Kilda Festival, Melbourne. Sure, it’ll cost you some spare change to get there by public transport or rent a car, but Melbourne’s beaches are spectacular and once you’re there they won’t cost you a cent. St. Kilda Beach is one of Melbourne’s most popular locales and it’s easy to see why – with its wide sandy beaches and stunning pier, you’ll be immediately charmed by St. Kilda’s picturesque shores. Brighton Beach is another popular spot, famous for its brightly coloured bathing boxes lined along the spectacular Melbourne city skyline. Port Melbourne, South Melbourne and Middle Park beaches close to central Melbourne – with playgrounds, off-leash dog walking and many water sports, making them among Melbourne’s most family friendly beaches. If you’ve blown your budget on one of Melbourne’s fantastic accommodation options, never fear. 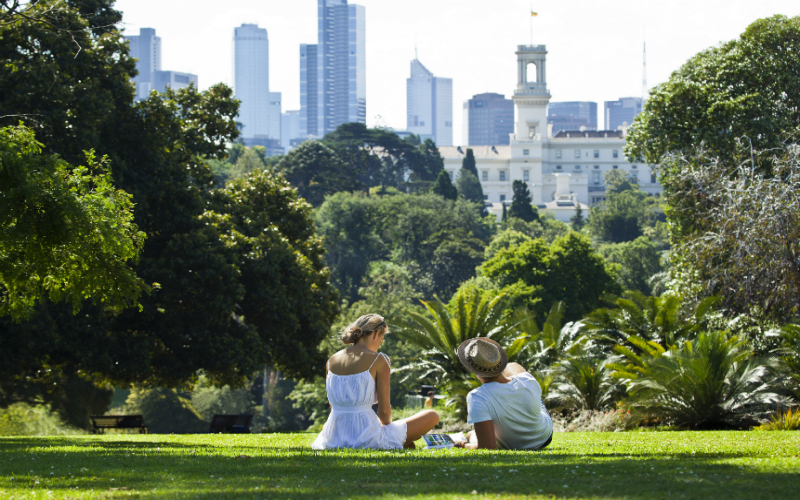 There’s plenty to do in the vibrant city of Melbourne without spending a penny.